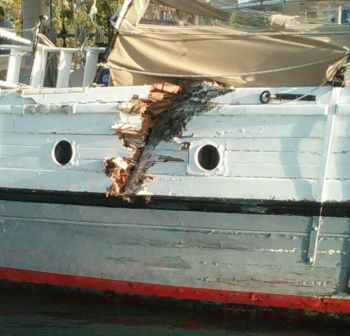 ST THOMAS BAY, Virgin Gorda, VI- A charter boat from St Thomas sustained a major rip to its hull, among other damages, when it was hit by a barge in St Thomas Bay, Virgin Gorda yesterday April 23, 2015. According to our Team of Reporters in Virgin Gorda, the barge which was reportedly transporting materials for road works on Virgin Gorda came into contact with the wooden vessel Talofa causing the boat to start to take water. One of the vessel’s masts was also damaged. “When I was there water was being pumped from the boat as it had started to take water due to the hull being damaged from the impact,” reported one of our newsroom correspondents in Virgin Gorda. It was reported that the passengers on the boat had to make their way back to St Thomas via ferry. 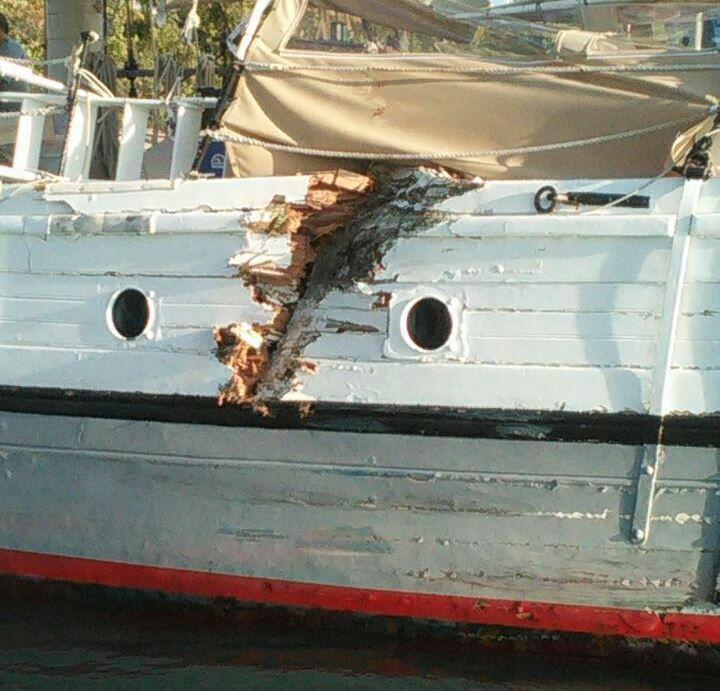 Up to yesterday afternoon the damaged boat remained at Virgin Gorda. The incident was confirmed by the Virgin Islands Police Force via its Imformation Officer, Diane Drayton. "I can confirm there was a collision between a passenger vessel Talofa chartered out of St Thomas and a barge by the name of Princess Samasiah based in Virgin Gorda early yesterday morning. Six passengers and two crew members were onboard the vessel at the time. Inquiries suggest that the Talofa was moored at the time of the collision. No injuries were reported on either vessel. Police are presently investigating the cause of the collision." I wonder whose head is going to roll for this one? The VIP ought to be blamed because for donkey years the talk has been rolling around about the problems of having passengers and cargo using the same dock. If the change was made the barge would not be at the same dock with the charter vessel..........think about it! The boat was at anchor when the incident occurred and brought to the dock to prevent it from sinking. Please vote for the NDP TEAM! We have nothing to offer but lies, vititimization and propaganda we are the NDP and we all went to college, so please vote for us. Thanks! I'm seeing the starboard side of the charter boat,question was the sail boat under sail or motor? 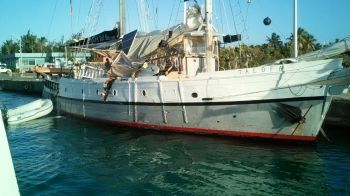 Article indicates the boat was moored, probably in a designated anchorage.